Jaguar's concept supercar, the C-X75, will land with a 500hp, 1.6-litre four-cylinder twin-charged engine - the same one that will be used to form the base engine in future motorsports cars (including F1) - according to reports. It's believed the engine will provide the motor with enough muscle to take off from 0-60mph in just under 3.0 seconds. 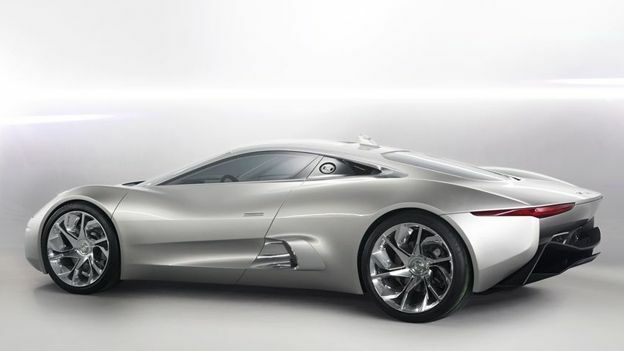 The C-X75 will reportedly reach a top speed of 200mph. Jaguar has also chucked in two electric motors – one on the front axle and another on the rear. A 200kg 600-volt battery will deliver power to the motor, which can complete a 0-62mph sprint in 6.0 seconds solely on electric power, according to reports. It will also host two jet turbines and four-wheel drive capabilities. However, enthusiasts will have to wait a while to get their hands on the car as it's still a concept – a Jaguar spokesperson told T3 that they're “still working on it”. The C-X75 will be the car-maker's first ever road warrior to use a carbonfibre shell, created in conjunction with the Williams F1 team. It was first unveiled back at the Paris Motor Show last year.